How do folders help you? Right now, you know how to make techpacks and may already have a bundle on hand, and the next question is how to organize them? 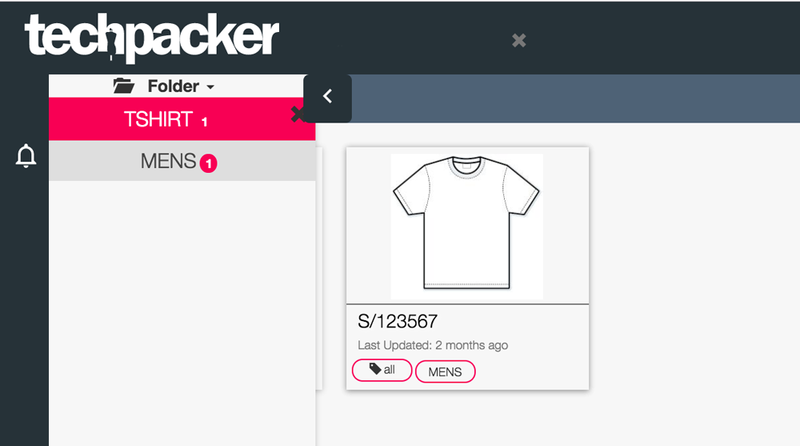 Techpacker introduces smart "Folder" serves you in a much easier and personalized way to organize your Techpacks. Just take a minute to learn how "Folder" make you work better through the video OR read details below. How Do "Folder's" Help You? "Folder" also allows hierarchical filtering function for finding out all Techpacks you want. You can escape from the headache of memorizing document names and locations through a simple click on a folder. After understanding how beneficial "Folders" are, it's time to learn how to use them. When you make a new Techpack, you will be directed to the "Techpack Settings" page. Close to the bottom of the page, you will see a "Keywords"* section and you may add any relevant keywords to your Techpacks (see image below). Any keyword you type here will automatically become as a folder or will be grouped with other similar keywords. When you go back to the "All Techpacks" page, a list of folders will be displayed on sub-menus next to your side-menu (see image below). Click on any folder from the list and all related Techpacks will be filtered in a second (see image below). You may further narrow down the result by choosing other folders within. The more folders you pick, the more specific Techpacks you get (see image below). If you have missed that part or you want to make a change, enter your Techpacks and click "Techpack Settings" on the top bar menu to customize your folder list (see image below). OR click "TECHPACK SETTINGS" on the expanded side menu panel (see image below). Next to each folder name, there is a little circle named "Badge". It counts the total number of Techpacks with the same keyword in a folder (see image below). From the same image, for example, the badge of "WOMENS" folder shows the number of "4", so four related Techpacks will be filtered. In this way, you can see the whole picture of your Techpack organization and seek for improvement space of the folder list, such as removing duplicate and overlapping folders.